David R. Cassidy - 1st Priority Mortgage, Inc.
David takes time with each client to truly understand their needs and desires. 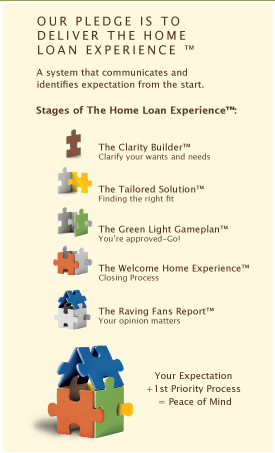 He gives every client personal attention and makes himself completely accessible throughout the mortgage process. He has 25 years of experience writing mortgages and is well versed in the many changes this industry has faced. David has earned a reputation as being caring and honest. He is most concerned with protecting his clients’ bottom line, not his own. These attributes make it easy for David to build a trusting, caring relationship with each client, something David feels is critical to his ability to make the entire mortgage process flow smoothly. Making sure he understands his client’s complete financial picture, David does not hesitate to offer solutions that make sense for their individual situation. His in-depth product knowledge enables him to find solutions for all types of borrowers. David enjoys working with his clients, and is looking forward to finding the best program for you.